A contract packaging service, also known as a co-packer, is an organization that provides supply chain services such as warehousing pick-and-pack, equipment rental, and more. These companies can provide businesses with total turnkey solutions, or labour. Outsourcing your packaging and warehousing operations with a custom packaging company can benefit your business in many ways. But, before you settle on a co-packing company, it is important to make sure it is aware of your needs. By informing the contract packager of your goals, you’ll be able to discuss and identify if they are the right team for you to work with. Here are three important aspects to consider when choosing a contract packaging company. Packaging and repackaging in the supply chain will always go through changes, and the co-packer should be able to guarantee their ability to respond quickly and make adequate changes to prevent any problems along the way. It is important to ask and find out how the company would meet challenges such as changes in planning, scheduling, and management. Many packaging companies will charge extra for last-minute or rushed projects, which you should expect. It is more important to focus on their ability to adapt to changes. The company you desire to work with should never take for granted aspects such as maintaining machinery and the workspace required. You should ask your contractor what equipment they would use for your project, and request a walk-through of their recommended process. They should also have headquarters in close proximity to where your project will be the most effective. You should be able to reach your end customer or distribution centre as easily and quickly as possible. This will save you costs in terms of shipping and packaging. It will also help you build stronger relationships and explain your expectations clearly to your partner company. Cost may be an important aspect to consider for your business, but it is not the most important factor that influences a successful packaging partnership. You should be budgeting 10% of the total cost for packaging, but be aware that this budget includes materials as well as paying your service vendors. Once you have considered the other factors, then you can negotiate your price with the contract marketing manufacturers as long as they are reliable, resourceful, and responsive to your needs. If your business operates in the Greater Toronto Area, you could benefit from working with a reliable company that has warehouse locations and provides operations management within that area. If you’re looking for the right company to partner with that meets your needs as a business, Lean Supply Solutions is the answer. We rise to the challenge of meeting our clients’ needs through our services which include product fulfillment, warehousing and distribution, e-commerce fulfillment, warehouse pick-and-pack, and order fulfillment. We can offer you consistent, accurate, and quality results. To learn more about outsourcing to our 3PL distribution team, or to ask any questions, contact us at 905-482-2590. Warehousing and distribution services can get complex, especially when products need to be shipped from location to location without delay. We know that warehouse space is commonly used when retailers need a more long-term storage option, and that distribution centres are used for short-term storage—so what are cross-docking warehouses used for? Cross-docking is used when items are to be shipped from the manufacturing plant directly to the customers, with little to no material handling in between. This strategy has had a profound impact on retail warehousing and supply chain services. What does cross-docking mean for supply chain management and e-commerce fulfillment services in Toronto? Keep on reading to find out. Inventory management becomes more complex when items need to be organized and kept track of in a warehouse for a longer period of time. Since items are in and out almost immediately with cross- docking, it makes it easier for providers to keep track of their items. Cross-docking decreases the likelihood of items being lost and/or damaged, since the turnaround period is so fast. There’s much less demand for warehouse space when e-commerce businesses take advantage of cross-docking. Not as many items need to be stored, and products are typically only in the warehouse for a short period of time until they’re shipped out. This allows smaller warehouses to increase their productivity and move items even faster than warehouses with more storage space. The cost of your supply chain can be greatly reduced with cross-docking. It can ship multiple orders at the same time, and even utilizes less labour, such as warehouse pick and packers, for example. Cross-docking eliminates the cost of inventory and product rotations, and you can save a ton on freight when you consolidate less-than-truckload shipments into full loads. Since items are shipped in bulk with cross-docking, there will be more flexibility further down the supply chain to accommodate unforeseen changes. This aids in creating a more accurate and responsive order fulfillment process, with shorter order cycles. As one of the leading logistics service providers in Toronto, Lean Supply Solutions can help you create an efficient end-to-end supply strategy to ensure your customers receive their parcel in tact and on time, while remaining cost effective for you. Our customized services will give you a competitive edge against your competitors, and have you come out on top, every time. Whether you’re looking for contract logistics, manufacturing support, or complete 4PL services, we have the solution for you. Contact us today to learn more about our services, and how we can take your order fulfillment process to the next level. The rise of global e-commerce product fulfillment has led to an increase in returns processing and costs due to customer actions. Customers can now browse for products they want online, order them to arrive at their doorstep, and test them out. But without seeing the item in their hands as they would at a retail store, they face the risk of ordering items that aren’t exactly what they’re looking for. Also, if you are managing your shipping on your own, there may be a higher risk of damaged items. The rise of e-commerce is one of the biggest operational challenges for reverse logistics services companies, and as more retailers offer free shipping, more consumers will be taking advantage of product returns. The power has shifted towards customers and away from retailers. Despite these changing trends in the reverse supply chain, you don’t have to fall by the wayside. Here is what you need to know about the changes in logistics due to e-commerce, and how you can save money and perform more efficiently. Years ago, independent retailers had a harder time competing with automated warehouses and cargo barges like Walmart’s. These large companies had better ability to draw in mass numbers of customers and meet all their needs in one location. However, the rise of e-commerce has almost flipped this scenario. Companies that operate through e-commerce are now rising in popularity, and physical retailers are having a harder time competing. Physical retailers that have not adopted e-commerce practices are threatened by the success of online counterparts. Based on this dramatic shift, it is safe to assume that brick-and-mortar retailers should adopt e-commerce as well. Working with a third-party logistics (3PL) and supply chain service can help you manage your shipping and retail e-commerce shift so you can focus on your marketing (web content and advertisements). Managing returns and orders in the same space is challenging and it is not viable for many businesses because of the differing margins. The cost to process returns is usually high, while the residual value of goods is usually low. These problems can be reduced by working with a 3PL provider that is able to handle returns and provide flexibility within the supply chain. They can also mitigate costs and capitalize on external efficiencies. Outsourcing returns processes does not eliminate the need for inventory space, but it shifts them to a company that has enough space and warehouse management to handle it. Since 3PL companies also handle transportation and distribution, you can process products much more efficiently and cost effectively. Processing a return and repurposing, reconditioning, or recycling the goods can be costly in terms of time and finances for the merchant. Reverse logistics can actually cut into your profits by up to 20% per year. The rise of e-commerce makes this even worse as customers can order an item online—a shirt for example—find out it does not fit, and send it back without having to go to a retail store. The convenience of e-commerce puts all the control in the hands of the consumers and removes it from the retailer. So how can retailers save money? The answer is simple: outsource the process to a 3PL company. Retailers can claim a significant percentage of the total product cost by effectively setting up a reverse logistics function with a 3PL provider. They can resell the product, recycle it, remanufacture it, and more, so you don’t have to. These aforementioned effects are changing standard processes and companies should start adapting sooner rather than later. Distributors that take the time to understand these changes can prepare to become one of the leading logistics and supply chains partners of the future. The following items are new trends affecting the logistics system due to mobile commerce. Working with e-commerce fulfillment services in Toronto can help you manage the shift to online retailing so you can focus on making your business and brand more accessible to shoppers. Some warehousing and distribution order fulfillment services in the USA are quickly learning and adapting their processes to implement functions that support the growth of e-commerce, and they can help you, too. If you’re looking for the right company to partner with, Lean Supply Solutions is the answer. We rise to the challenge of meeting our clients’ needs through our services, which include product fulfillment, warehousing and distribution, e-commerce fulfillment, warehousing pick and pack, and order fulfillment. Lean Supply Solutions is able to offer consistent, accurate, and quality results. To learn more about outsourcing to our 3PL distribution team, or to ask any questions, contact us at 905-482-2590. Having steady product management and outbound shipments to customers can help any company be successful. But when products are being mishandled, or arrive defective from the manufacturer, it can but a damper on your warehousing and distribution plans, and cause you a lot of frustration. Taking up a product rework project for those items may be the first solution that comes to mind, but before taking the leap, here are three important areas to consider first. It is important to consider the cost on product rework before asking your supplier to take on the project. When it comes to the quality of a bulk of items, a major factor in fixing the problems is how much time you have. Inspection, undoing the error, and then fixing it will take time, so you must decide if the project is worth it. Time will be excessive if the order quantity is relatively small, and if the product is a low-cost promotional item. In some cases, rework can be expensive if the value of an order is low. If the issue is something simpler, such as untrimmed threads on a t-shirt, the factory staff can more easily notice and fix the problem without taking up too much time. Be sure to consider the cost to the factory and how much time you need before requesting a rework. In terms of defective goods, the risks are even higher. It is important to consider the possible negative effects of fixing these defective goods. Product rework almost always requires additional product handling by the production staff. Product handling is often the cause of quality defects in the first place. Weighing the benefits of product rework vs. the risks of new defects through this process can help you decide how to address quality issues. Customers expect a certain level of product quality and their items delivered at a reasonable time. However, it can be a balancing act for importers as they try to fix problems with product quality before the date they must leave the factory. In some cases, you may feel the need to skip rework to meet a desired shipping deadline. This balancing act can be extra challenging if your supplier works with sub-suppliers and rework companies to manufacture different parts of the product. 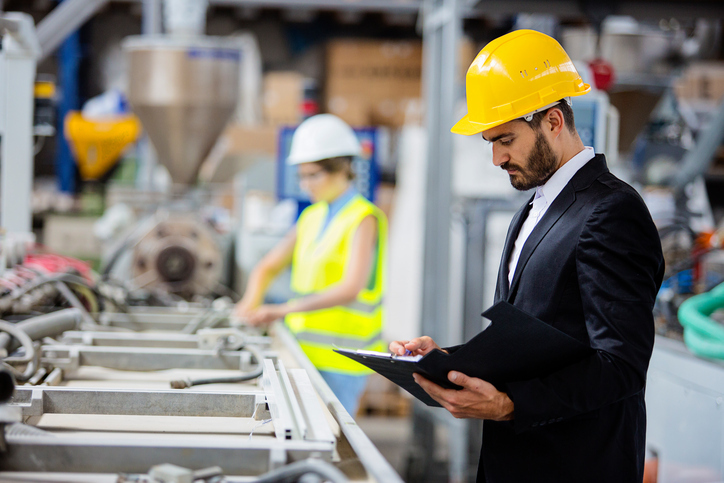 Some suppliers are unable to fix issues with parts that come from sub-suppliers, which means they must wait for their sub-suppliers to fix the issue, then once the items are received, the suppliers must then process and ship out the items, adding to the delay. If you’re looking for product fulfillment and shipping support for your product rework, a reliable option is to work with an outsourced order fulfillment service company. Lean Supply Solutions can help you find solutions for your product rework plans. We rise to the challenge of meeting our clients’ needs through our services which include product fulfillment, warehousing and distribution, e-commerce fulfillment, pick-and-pack services, and order fulfillment. By striving to ensure that the right products are provided to the right customers at the right time, Lean Supply Solutions is able to offer consistent, accurate, and quality results. To learn more about outsourcing to our 3PL distribution team, or to ask any questions, contact us at 905-482-2590.